We, Revathi Enterprises, established in the year 2010, are among the prominent manufacturers and suppliers of optimum quality Roof Ventilators & Sheets. 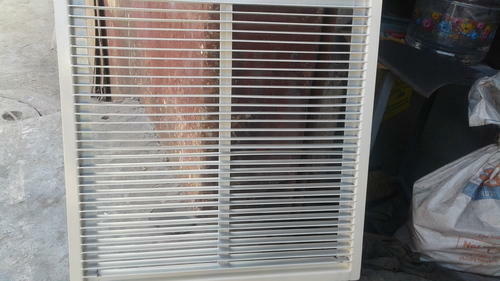 The product range consists of Roof Ventilator, Ridge Ventilator, Air Ventilator and many more. These roof ventilators and sheets find wide applications in various industrial and residential establishments. Owing to their high performance, easy installation, hassle-free operation and longer serving life, these roof ventilators are highly demanded in the market. In addition to this, the offered roof ventilators reduce the condensation on the floors. Easy payment modes, finest quality assured and client-centric approach has helped us in catering to the precise needs of our valuable customers in the most efficient manner. CAT, Caterpillar, Ford, Hyundai, and JCB are some of our valuable customers associated with us over a long period of time. In a zest to attain maximum customer satisfaction, we follow total transparency in all the business dealings.